What if i have a 240hz monitor but i want to cap my framerate to 150with Gsync on, can i do it? what the problems would be? Yes, you can cap the framerate anywhere within your refresh rate with G-SYNC with no problems. limiting the FPS lower than needed can actually slightly increase input lag, especially at lower refresh rates, since frametimes quickly become higher, and thus frame delivery becomes slower due to the decrease in sustained framerates. Lower framerate = higher frametime. Higher frametime = longer time for each frame to render. In other words, 60 FPS takes 16.6ms to render each frame, and 144 FPS takes 6.9ms to render each frame. It has nothing directly to do with G-SYNC. It applies to any scenario, G-SYNC on or off. My PC consistently gets 220+ fps with g-sync enabled, do I need to do this method to optimize the performance? Or is this method in general the best to get most out of your PC game performance wise. G-SYNC doesn’t directly affect how many frames your system can (or can’t) output, it simply syncs the display to them to prevent tearing. Right but I’m also not dropping frames like crazy and even if I was as long as I don’t exceed the frame limit g-sync should be in effect. for example fortnite at 240 fps I shouldn’t have to limit the frames any lower and enable v-sync, because g-sync will be in effect if I drop frames and because I’m set to 240 fps I won’t go above it and so I can leave v-sync(nvcp) off. 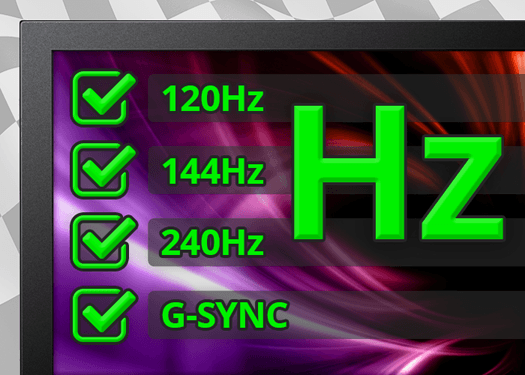 Assuming you’re using a 240Hz monitor and are running the game at 240Hz, G-SYNC needs at least a -2 or -3 FPS limit (e.g. 237/238 FPS) to stay activated and within its range at all times. 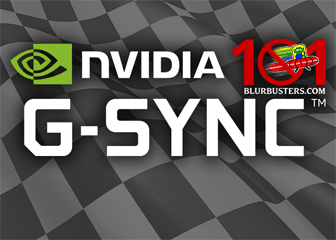 Pairing “V-SYNC” (which is actually a frametime compensation mechanism in this case) with G-SYNC is optional, but recommended to prevent tearing 100% of the time. First, thanks a lot for this guide. I find it very useful even if in the beginning it is quite difficult to understand this matter but now it is more clear. I have three questions : I didn’t understand why should i leave V-Sync ON if I have G-Sync ON with FPS capped 3 frames below the screen refresh rate? Should G-Sync kick in ? Second question : I noticed in some FPS shooters (far cry for instance) input lag (Especially mouse lag) when I enable antialising in-game. The PC however is able to maintain constant FPS rate (57). When i disable antialising it works perfectly. Do you know what’s going on: is it something related to G-sync ? In resident evil 2 remake I didnt notice any input lag even with highest antialising settings. So my question is : does antialising have something to do with input lag ? It is noticeable in some games : what would be your recommendation in this regard ? And last question : if an in-game FPS limiter is available, should it be turned on even if RTSS is active, or it should be disabled ? 2nd question: You didn’t say which Far Cry, and what AA method, so I can’t say much on that. But, generally, no, AA does not add input lag, especially post-processing types (FXAA, SMAA, TAA). What I do know, is Far Cry 2 onward have some obnoxious negative acceleration issues with mouse input (no raw input option). 3rd question: Typically, pick one of them, don’t stack. 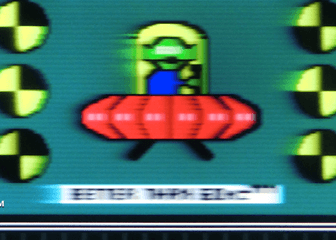 In-game limiters usually have lower input lag, but have more frametime variances, whereas RTSS has slightly higher input lag (up to 1 frame when directly compared to in-game limiters, but it’s still lower lag than uncapped at the same framerate; more on this in the Closing FAQ), but steadier frametimes. Yes, the game is Far Cry 2 but also in Far Cry 4 (however it is less noticeable). The AA method is not mentioned in far cry 2, In far cry 4 I have TXAA X4, in RE2 Remake FXAA+TXAA (no input lag). In far cry 2 for instance it feels way smoother without the AA (the framerate stays the same). Far Cry 2 uses MSAA, which “multi-samples” pixels (basically downsamples; think of SSAA or DSR), but only selectively, like on geometric edges. It’s a GPU-heavy setting, and isn’t used much in games any more, since most modern engines use deferred shading, which means with the way they render scenes, MSAA can’t apply itself to most edges. Resident Evil 2 uses FXAA + TAA (not TXAA, which is actually MSAA + temporal blending). 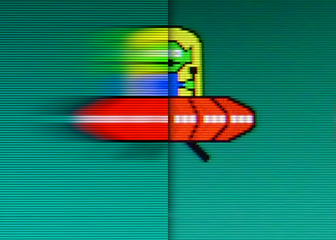 FXAA selectively softens the most contrasted of edges to reduce aliasing, and TAA blends the previous frame’s information with the next to achieve the same thing (usually with better subpixel and in-motion coverage when compared to FXAA). Both are post-processing methods, unlike MSAA. Post-processing AA does not add input lag. MSAA can indirectly increase input lag by either lowering the framerate to a point that frametimes are significantly higher than without MSAA enabled (say, 120 FPS with MSAA off vs. 75 FPS with MSAA on), or by maxing out GPU usage, which can indirectly increase buffering (CPU has to wait on GPU to finish current frame before it can hand over another to be rendered and delivered). The latter is probably what you’re experiencing, since you say the FPS is the same with or without. Check your GPU usage in-game, and if it’s maxed out (99% or 100%) with MSAA enabled, that’s probably what you’re feeling. To be clear, any demanding setting will do this, not just MSAA; whatever tips GPU usage over the top, basically. Thanks a lot for this detailed reply. Yes you’re right, resident evil 2 uses fxaa+taa. I checked gpu usage while playing far cry 2, it’s around 23-30% on ultra I don’t understand why I feel this little delay. It’s smooth but I feel like a difference with and without this AA. Maybe I’m too sensitive to this question… However on RE2 I feel no delay at all, it’s weird. I recently bought a second hand laptop asus with a gtx 1070 i7-6700hq with a 60hz screen, but it has g-sync. I know this site is only for high refreshing monitors, but I’d like to configurate mine to play some games. Anyway thanks for your time, it’s appreciated ! And strange you still feel like there is an input lag difference between the two with the GPU usage being so low. It would take a lot more troubleshooting to narrow down how/why it is occurring. In some games where adding huge AA takes several milliseconds, it can add frametime lag even if framerates don’t change. For example, if adding “ACME-AA” or “KitchenSink-AA” takes 5ms of extra processing time, it may increase a 60Hz frametime from 10ms to 15ms. That’s still within the time budget of 60fps cap, so lag can increase with unchanged frame rates if the processing change is dramatically huge enough. Whether one notices the lagfeel of 5ms is another debate, but generally: Yes, it is possible for humans to detect lagfeel differences that small in certain situations! In muscle memory, a 4000 pixels/second mouse flick, means 20 pixels mouse overshoot error with 5ms lag at 4000 pixels/second mouse flick speed. 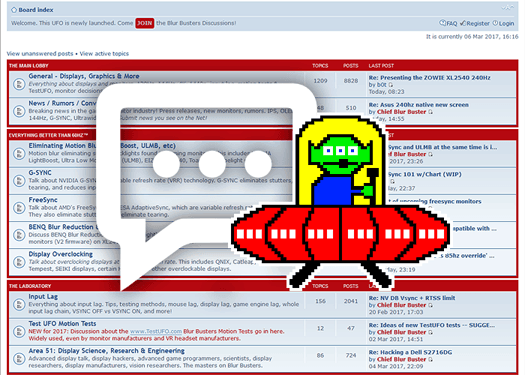 (4000 pixels/sec = 4 pixels per ms, so 5×4=20). So if you’re trained to a specific mouse flick lag, some professional players can feel “my aiming weirdly seems off” even though they cannot directly feel 4ms, they just feel like aiming is wrong. Because they trained for a lag they’re used to. So a 5ms lag change can mean the difference between “I’m hitting all my shots” versus “I seem to be missing a lot of my shots”. That actually does definitely indeed happens to some seasoned professional players, no argument. It doesn’t matter to most but it matters to some. 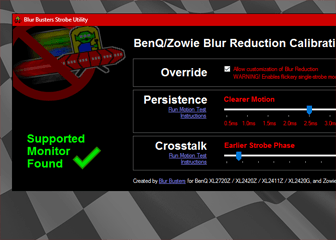 Even Microsoft noticed that milliseconds matter for touchscreens (1000Hz touchscreen example, http://www.blurbusters.com/1000hz-journey …) so sometimes there’s some actual lagfeel changes. 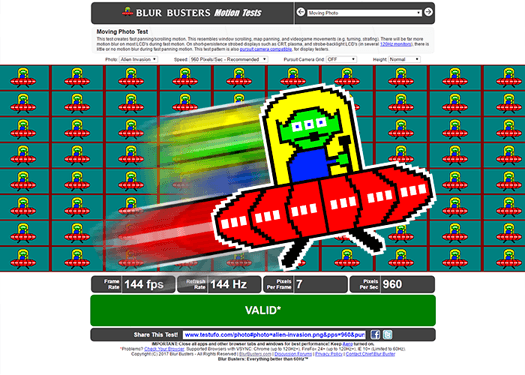 Milliseconds matter here at Blur Busters, in surprising ways. Hey if I wanted to play fortnite competitively and have the least amount of input lag should I have g sync enabled or disabled? I have a 144hz monitor. Is the slight input lag that comes with g sync worth it as far as smoothness or do you think it would be better to have low input lag with v sync off as well as g sync and maybe get screen tearing? That depends on how high (and steady) of a framerate you can sustain above the refresh rate with G-SYNC disabled and V-SYNC OFF, and whether tearing bothers you. Some would argue G-SYNC with a steady FPS limit is superior for competitive aiming purposes over V-SYNC OFF with fluctuating framerates above the refresh rate (more consistency vs. slightly lower raw input lag), but it’s ultimately up to you, and pretty much preference at that point. Okay thank you and my game gets like 300 FPS and I have a 144 hz monitor so I think I’ll just run really high FPS and v sync and g sync off and see how that works. Sure, whatever you prefer. That, and you always have the option of trying both methods firsthand (G-SYNC + 141 FPS limit vs. V-SYNC OFF + uncapped), and deciding which suits you best too, ultimately. Absolutely amazing guide, so glad I found this. Although, when i play SWtOR (Star Wars the Old Republic) with G-Sync + V-Sync “ON” I get noticeable stuttering. Where as when I play with G-Sync + V-Sync “Off” there is much less stuttering. I understand that if i get frame dips I might see some screen tearing but so far its been fine in that regard. Is this unusual? Or what you’d expect? Depends. Could be game/engine specific, could be something else. Otherwise, if you’re not experiencing any notable tearing with G-SYNC + V-SYNC “Off” in that specific game, and you prefer what you’re seeing over G-SYNC + V-SYNC “On,” leave it.